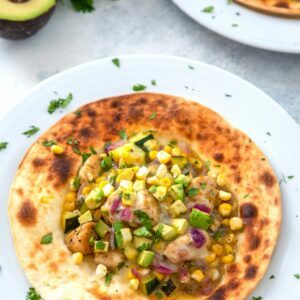 These chicken and vegetable tostadas are incredibly easy to make and packed with summer vegetables. And did I mention they go perfectly with a cold glass of white wine? (This recipe for Chicken and Summer Vegetable Tostadas was originally posted in July 2011, but was updated with new photos in 2018). … Also known as the time I almost burned my house down. I’ll get to that in a bit, though. Like I mentioned the other day, I hadn’t been grocery shopping in a looong time, so on Tuesday I spent a good couple hours grocery store hopping buying ingredients for a handful of recipes I had bookmarked. One of them happened to be Chicken and Summer Vegetable Tostadas that I saw on Cooking Light. 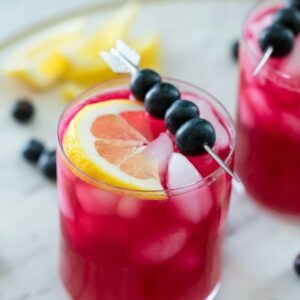 I knew the weather in Boston this week was going to be brutally hot so I wanted recipes that required little to no cooking time! These tostadas turned out to be a great option for a sweltering hot night, as they’re filled with fresh and crunchy seasonal vegetables all wrapped up in a light tortilla. Who wouldn’t love chicken tostadas?? But chicken tostadas made with tons of delicious summer vegetables? 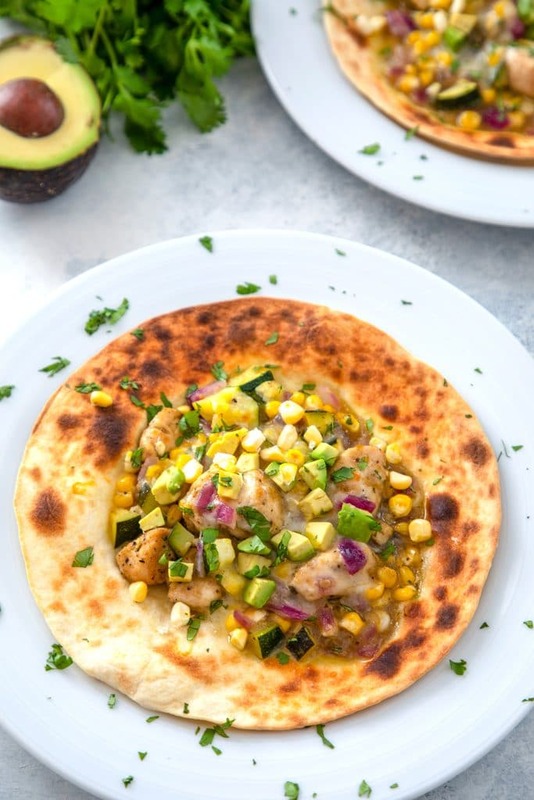 You’re definitely going to want to make these while you can still get your hands on fresh summer corn and zucchini! Aside from a little bit of chopping, this recipe is ridiculously easy. 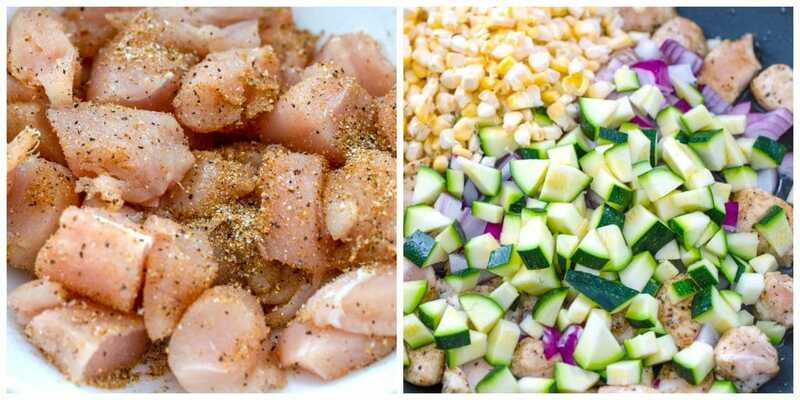 Add some cumin, salt, and pepper to the chicken and saute it, along with the corn, zucchini, and red onion. Mix it all up with some salsa verde and cilantro (at this point, your chicken will be smelling quite delicious!). Then put your tortillas under the broiler for a minute, layer your chicken mixture on top, and finish off with some cheese before putting back under the broiler for 2 minutes to get the cheese all melty. 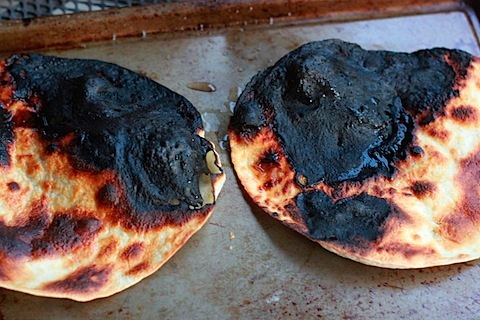 So, that first round of tortilla broiling is when the small kitchen fire incident occurred. The recipe says to put tortillas under the broiler for 3 minutes, but this was way too long for my oven and when I opened it (before 3 minutes was even up), the tortillas were in flames! Round two was much better… I kept the tortillas under the broiler for just 1 minute. After reading some more recent comments on the recipe, it appears I’m not the only one who set my kitchen on fire making these chicken and vegetable tostadas! Some commenters even said they didn’t bother broiling their tortillas at all until their toppings were in place. I’m sure all ovens and broilers are different, so do whatever you’re comfortable with! OK fine, I sprinkled avocado and cilantro on top before I dug in. Because what the heck is the point of Mexican food if you’re not going to eat it with avocado?? But honestly, these chicken tostadas are so delicious as is, simply because they’re packed with all those vegetables. Corn and zucchini are two veggies that just scream summer to me… And I obviously love the red onion for the splash of color it provides. This is the kind of meal I could eat every single week during the summer and be so ridiculously happy about it. Not to mention, it should legit take you about 30 minutes to get this on the table. Which means you can stay at the beach or pool longer instead of working away in the kitchen and still have these delicious chicken and summer vegetable tables on your table for the family to enjoy. Orrrr you could just keep all four of them to yourself. I’m not even going to tell you what I did. 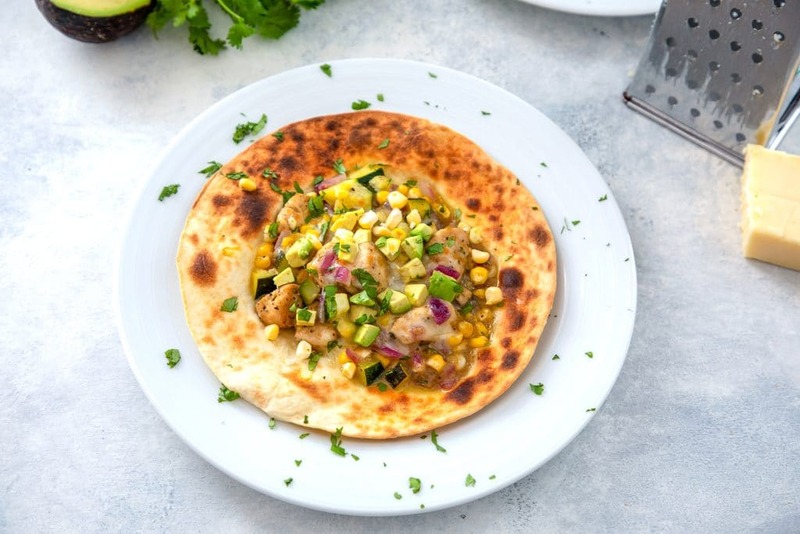 If you’re looking for some more delicious summer meals, check out this chilled Mexican corn bisque with shrimp or this Shrimp Scampi Pizza. In a small bowl, combine the ground cumin, salt, and black pepper. Sprinkle evenly over chicken. Heat oil in a nonstick skillet over medium-high heat. Add chicken to pan and saute for about 3 minutes. In the same pan, add onion, corn, and zucchini. Continue to saute until chicken is cooked through, about 2 more minutes. Stir in salsa and 2 tablespoons of cilantro. Cook until the liquid has evaporated. Arrange two tortillas in a single layer on a baking sheet and lightly coat with cooking spray. Place baking sheet in oven and broil for one minute. Remove from oven. 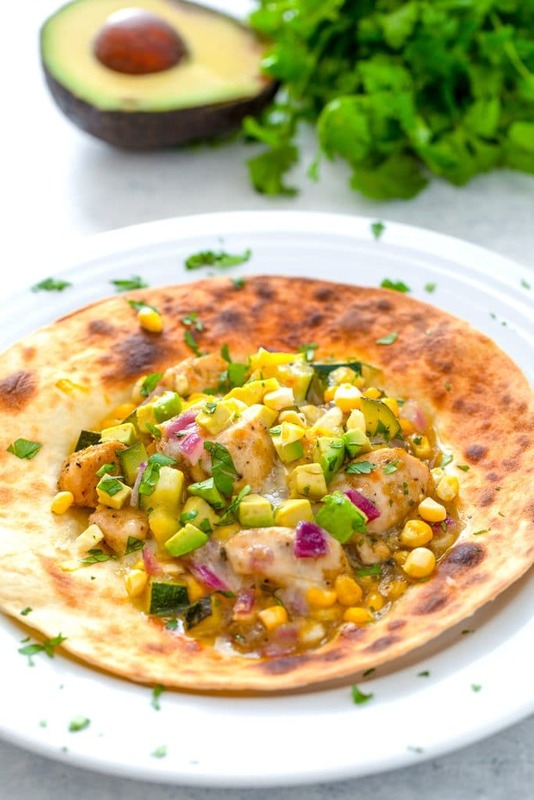 In the center of each lightly browned tortilla, add about 3/4 cup of the chicken and corn mixture and top with cheese. Put back in the oven and broil for 2 more minutes, until cheese is melted. Sprinkle tostadas with remaining cilantro. 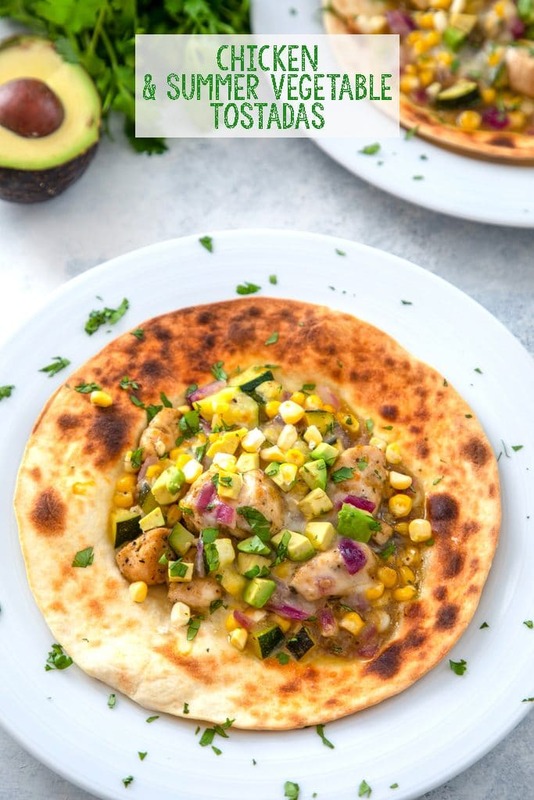 18 Responses to "Chicken and Summer Vegetable Tostadas…"
his looks like an awesome dinner! The broiler is a great little toaster, but I’ve burned my share of items under it 🙂 Scariest kitchen mishap? Not mine, but in my kitchen in college…one of my roommates put her metal coffee mug in the microwave to reheat…. yikes i’m glad everything is ok! my broiler does that too, i can only keep stuff in there for about 30 seconds! can’t wait to make these yummy tostadas! My dad got me a fire extinguisher when I moved to Boston after college. Thankfully I’ve never had to use it….but I’m always glad to have it handy! I made pureed tomato soup, using a blender to do the pureeing. The combination of the steam from the soup breaking the seal of the lid, and filling the blender too high led to tomato soup dripping from the ceiling, cabinets and me. I went out and bought an immersion blender the next day. And on the same theme as Erica above, when I was 9 I put the tea kettle in the microwave to make hot chocolate. Sparks, flames, and the smell of burned appliances. I tried to cover it up with air freshener so my parents wouldn’t know. They weren’t fooled. Hi there – great to find your blog! Eek – my scariest kitchen mishap — don’t know if you have seen those little red plastic things you put in boiling water to tell you when you pull your hard boiling/poaching eggs out (they sell them at Crate & Barrel) — anyways… I left 4 eggs hard boiling with that thing and went out… Totally forgot… well I returned to exploded eggs (everywhere and the HORRIBLE smell of burnt plastic…shocked I didn’t burn my apt down…it took days to get that smell out of our apt! I cannot believe how hot it is in Boston right now! I’m a big fan of recipes requiring little time standing over the stove. These look fantastic. I’ll be careful of my broiler though, that sounds so scary! Oh dear, that is SO scary!! I actually set fire to an oven-mitt once… while it was on my hand. I only realized it was on fire when I smelled something burned and felt my hand warm up. Eek!!! Glad that after your second attempt the tortillas turned out fine! Well worth the trouble to make the dish, haha. TAL is the most perfect, post-flame chillout. that looks delish! I left an ovenmit on the stove and forgot to turn off the burner…I almost finished dinner by the time I realized something was wrong. The oven mitt was onfire, the kitchen was filled with smoke and the sink was full of old dishes (some plastic) so I had to run outside and hose down the mitt. Thought I was going to light the doorway on fire, too! I once flooded my kitchen. Phone rang in the middle of doing dishes, left the water on when I ran to get it and forgot to come back and turn it off. In the meantime, a blender I was washing (which happened to be the exact size of a drain plug) slid into the drain and stopped up the sink. Phone call lasted too long and when I came back, water, water, everywhere…and my landlord was obviously less than pleased. Whoops! oh no!! Glad everything was alright. I totally sliced my hand open when cutting an apple when I was 10. Remember the way they tell you NOT to do it? There’s a reason for that. Tostadas are my favorite btw! Ahh mistakes happen! I actually put up a post today about kitchen mishaps! I think they happen to all of us. Looks like the final result was delicious and healthy though! 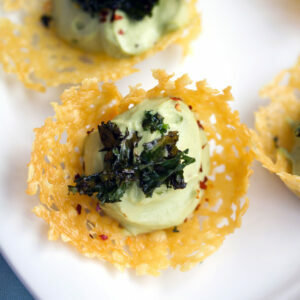 Thanks for sharing this recipe – I made these tonight and they were DELISH. 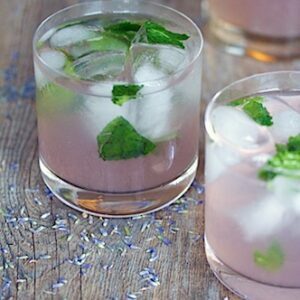 Incredibly easy and I can think of all kinds of variations depending on what we have on hand. 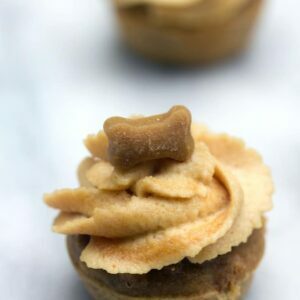 We’re also going to make these when SIL/BIL come to visit – she’s a vegetarian and he’s not, so we’re always looking for meals that can be easily customized when they’re here. Scariest mishaps – tried to make homemade fries (I’d had a roommate who did these) and the oil I was heating for deep frying boiled over and ignited. My first thought was to “put something white on it” – so I grabbed flour. Which started burning. Then I remembered it was BAKING SODA for a grease fire…smoke alarm is going off, cat is running around meowing loudly, I finally get the soda on which did the trick. I opened the windows to air it out and went and picked up Chinese. OY. Good thing you’re OK! That’s scary. We’ve had kitchen scares (hasn’t everybody? ), and it’s always better when they end with no trips to the ER. 🙂 You did it all in the name of good food. Ha – I’ve totally had kitchen disasters that involved flames. It’s a rite of passage…or something 🙂 Great end result! Holy cow your broiler must be hot…or I’m guessing the racks are that close to the coils? It doesn’t seem long enough to make that happen, and yet 3 minutes seems like way too long for a broiler, too. Oops!